Well it was a great trip to Argentina…many new relationships have been orchestrated by the Lord for the purposes of Kingdom advancement.The churches that I have been to are sincere in their unashamed expressions of joy and delight in the Lord.The Word of the Lord was well received. I have observed generally in the Body of Christ an absence of Order, structure and clarity.Everything about God and His Kingdom requires structure….once you have the structure,we must implement the protocols of the Kingdom so that we may be ordered in our activity. This is a season that demands TRANSPARENCY.This is not a season for spies and secret agents.We must craft an environment of transparency and clarity. This was the Word of the Lord for our ministry in 2011.We must be transparent in all our interactions…. The spies Joshua commissioned to check out Jericho were men of great integrity. Even as they engaged Rahab, their covenant with her was clear and transparent…the presence of the scarlet cord hanging out of her window is a picture of the integrity that these “spies” represented. That in their quest for dominion they will not dismantle structures that are protected by the presence of the scarlet cord. Well I was pleasantly surprised when I returned this week end! The sons of the house dedicated this Sunday to be “Appreciation Day” and brought me many gifts and treated me like royalty.Many video messages were received from my sons from the other nations and I am extremely grateful to my household of faith for all the effort invested in this day.May the Lord bless you all for making this day memorable. When wisdom has to cry out, when wisdom has to raise her voice we know that she has reached a point of extreme frustration. The very nature of wisdom would suggest peace and tranquility. But wisdom has been despised to such a point, that she has to position herself in the most conspicuous places in the city and begin to cry out against the atrocities of the inhabitants of the city who have all gone their own way……forgotten their first love. The inhabitants of the city despise grace…… receive the instruction which is more precious than the finest gold in the land…..the counsel of the Lord is priceless….in fact they are not even meant to be compared. Yesterday I spoke about the protocols of entry ito the camp of David. At Adullam the men that came to David would be considered to be ¨losers¨ by society, yet they were eventually transformed into a formidable force because they accessed the grace of David. Grace is more precious than silver or gold or the finest rubies. Discern grace and connect to it. Stay blessed. Provérbios capítulo 81Doth não chore sabedoria? e entendimento soar a sua voz? 2 Ela se detém no cume das alturas, a propósito, nos lugares dos caminhos. 3 Ela clama às portas, à entrada da cidade, na vinda no às portas. 4 A vós, ó homens, clamo; e minha voz [é] para os filhos do homem. 5 ó simples, entender a sabedoria: e vós, insensatos, sede de um coração compreensivo. 6 Ouvi, pois falarei de coisas excelentes, ea abertura de meus lábios [deve ser] as coisas direito. 7 Porque a minha boca profere a verdade, ea maldade [é] uma abominação para os meus lábios. Quando a sabedoria tem que gritar, quando a sabedoria tem que levantar a voz, sabemos que ela chegou a um ponto de extrema frustração. A própria natureza da sabedoria sugeriria paz e tranquilidade. Mas a sabedoria foi desprezado a tal ponto, que ela tem para posicionar-se nos lugares mais visíveis na cidade e começam aclamar contra as atrocidades dos habitantes da cidade que têm ido toda sua própria maneira … … esqueceu seu primeiro o amor. 10 Aceitai a minha correção, e não a prata; eo conhecimento, antes que o ouro escolhido. 11 Pois a sabedoria [é] melhor do que os rubis, e todas as coisas que podem serdesejado não devem ser comparados a ele. Os habitantes da cidade desprezam a graça … … receber a instrução que é mais precioso que o ouro fino na terra … .. o conselho do Senhor não tem preço …. Na verdade eles não são mesmo para ser comparada. Ontem falei sobre os protocolos de entrada ito o acampamento de Davi. Em Adulão os homens que vieram a Davi seria considerado para ser · perdedores ° por sociedade, mas eles acabaram sendotransformados em uma força formidável, porque eles acessaram a graça de David. A graça é mais preciosa do que ouro ou prata ou o melhor rubis. Discernir graça e se conectar a ele. Fique abençoado. No 1Doth llorar sabiduría? Y da su voz? 2 Ella está de pie en la parte superior de los lugares altos, por cierto en los lugares de los caminos. 3 Clama a las puertas, a la entrada de la ciudad, en la que entraba por la puerta. 4 A vosotros, hombres, yo lo llamo, y mi voz [es] para los hijos del hombre. 5 oh simples, comprender la sabiduría, y los necios sois, vosotros sois de un corazón comprensivo. 6 Oíd, porque hablaré cosas excelentes, y abriré mis labios [se] las cosas bien. 7 Porque mi boca hablará verdad, y la maldad [es] una abominación para mis labios. Cuando la sabiduría tiene que gritar, cuando la sabiduría ha de alzar su voz, sabemos que ha llegado a un punto de frustración extrema. La naturaleza misma de la sabiduría sugiere paz y tranquilidad. Pero la sabiduría se ha despreciado a tal punto, que tiene que posicionarse en los lugares más visibles de la ciudad y comienzan a gritar contra las atrocidades de los habitantes de la ciudad que han ido todos a su manera … … olvidado su primer el amor. 11 Porque la sabiduría [es] más que las piedras preciosas, y todo lo que puede desear, no se puede comparar a ella. Los habitantes de la ciudad, despreciar la gracia … … recibir la instrucción que es más precioso que el oro fino en la tierra … .. el consejo del Señor, no tiene precio …. De hecho, ni siquiera la intención de ser comparados. Ayer hablé sobre los protocolos de entrada ito del campo de David. En Adulam los hombres que vinieron a David se consideraría que ser · perdedores ¨ por la sociedad, sin embargo, eventualmente se transformaron en una fuerza formidable, ya que acceder a la gracia de David. La gracia es más precioso que la plata o el oro o los mejores rubíes. Discernir la gracia y conectarse a él. Permanezca bendito. My laptop has been giving me some problems so I regret being unable to post any pictures. Sunday was Fathers Day even here in Argentina. I missed being home with my family and the household of faith in Wyebank. But not my will but Yours Lord. It is absolutely amazing how God honours this level of sacrifice and consecration….the manner in which the Spirit of the Lord supports me in these meetings is nothing short of phenomenal. God puts His words in my mouth. The meeting in Matheu with Ps Reuben and Edith Cobo went very well. I was particularly pleased with the discipline in the music. This is a large established ministry in the city and the Church has extended an open invitation to us. The meeting in Jesus Mana Ministries was wonderful. Many responded to the Word of the Lord….amazing flows of the Holy Spirit. This ministry has been significantly impacted. A covenant has been established between our nations and our ministries. There was great joy amongst the believers as they celebrated our alliance. 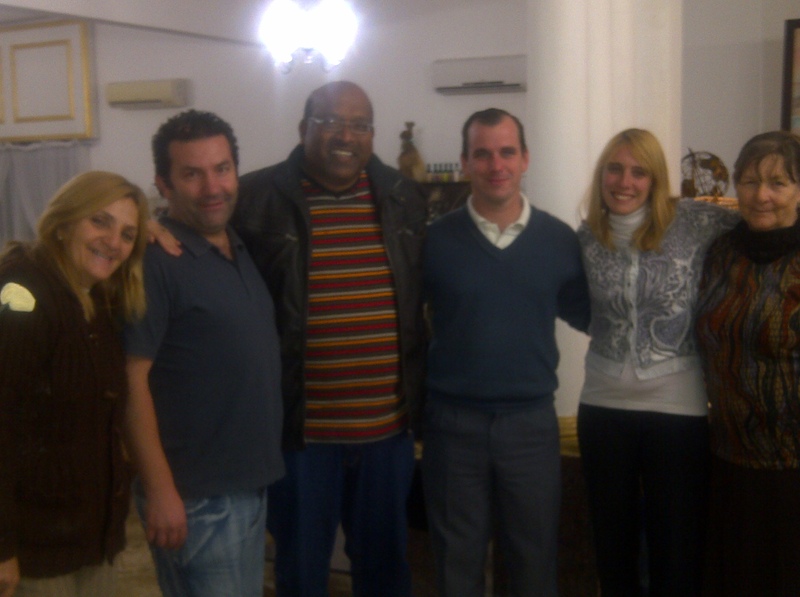 I am so thankful to Ap Sandra Luna and her husband Ps Muguel Luna and their household of faith for receiving me here. The Lord bless them. They too must hear my voice! The message, vision and driving passion of the Father must be communicated to the nations of the world. We must deliver OURSELVES of sentimentalism and excessive displays of emotion and get the job done! As my sons you will carry the same passion that I have for the deliverance of nations. My greatest gift is that you will represent me accurately where you are. That we must be delivered from the spirit of Catholicism, where we call every elderly man ¨Father¨. That your sonship will be demonstrated rather than articulated. That you would pursue the resident grace of ¨father¨ in my life, rather than me standing on the porch and wondering where the prodigal is. These are hard words, but this is the demand of this season, that there will be a turning of hearts towards one another if we are to make a significant impact as a family…..that we are joined in perfect agreement, speaking and preaching the same gospel. THE LORD BLESS YOU. 16 Tenho ainda outras ovelhas que não são deste aprisco. Devo levá-los também. Elas ouvirão a minha voz, e haverá um só rebanho e um só pastor. Eles também devem ouvir a minha voz! A mensagem de visão, paixão e condução do Pai deve ser comunicada para as nações do mundo. Devemos entregar-nos desentimentalismo e mostra excessiva de emoção e começar o trabalho feito! Como meus filhos que você vai levar a mesma paixão que eu tenho para a libertação das nações. Meu maior presente é que você vai me representar com precisão onde você está. Que devem ser entregues a partir do espírito do catolicismo, onde chamamos a cada homem idoso ¨ Pai ¨. Que a sua filiação será demonstrado ao invés de articulada.Que você iria prosseguir a graça residente de ° pai ¨ em minha vida, ao invés de me de pé na varanda e se perguntando onde o pródigo é. Essas são palavras duras, mas esta é a demanda da temporada, que haverá uma mudança de coração um para o outro, se quisermos ter um impacto significativo como uma família … .. que estamos unidos em perfeita sintonia, falando e pregando o mesmo evangelho. O Senhor te abençoe. We are clear and in full agreement that Christ dwells in us, the temples and mansions of the living God. It is this Christ that is demanding that we confess Him in our conversations and daily interaction with others. Failure in this area will negatively impact your approval ratings in the heavens. Childrens’ bread should not be squandered. Feed those who know how to acknowledge and confess you to others; to those who add value to your life. The Lord bless you as you meditate on this word of wisdom. I am excited about the inauguration of our new ministry associate in Chapero, Brasil. 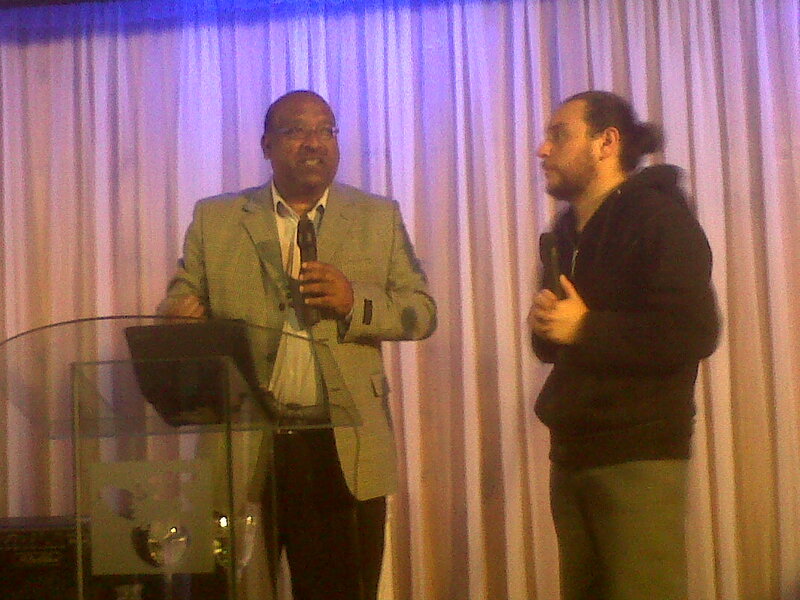 I have known Ps Pedro Amancio for over ten years; I remember anointing him to serve in the ministry many years ago. Here is the new ministry logo.